If you’re on a market for a 4K TV under $999 this guide will help you by comparing several best selling models currently on the market. This KU6300 Samsung TV ranks as one of Reviewed.com’s top rated TVs of 2016 and received special recognition as one of their Editors’ Choice award winners. Some of its features at a glance. 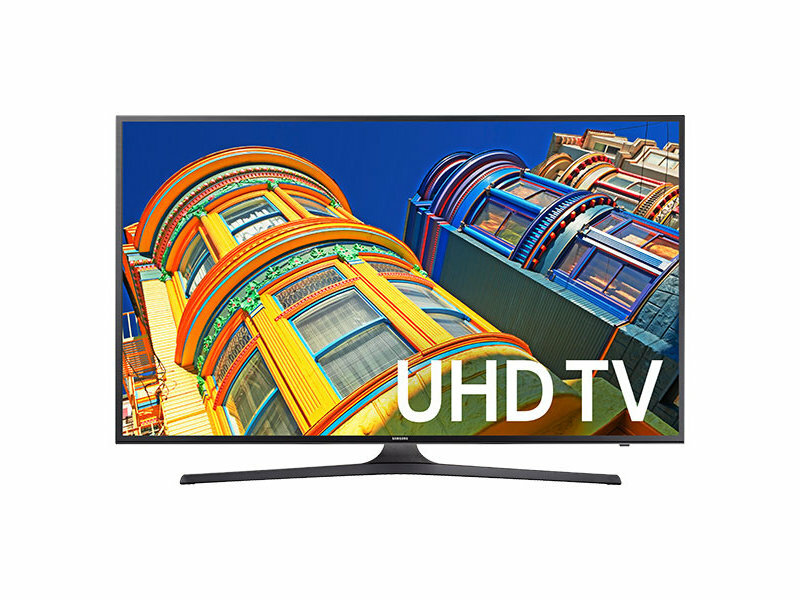 Samsung UN50KU6300 50-Inch 4K Ultra HD is priced at $737.90. It also comes in 40-inch, 43-inch, 50-inch, 55-inch, 60-inch, 65-inch and 70-inch models with prices starting from $499.99 for 40-inch model and up to $1499.99 for 70-inch model. It is #6 in Amazon’s TV category and is bestselling large-diagonal Samsung TV on Amazon. If you’re on the market for curved 4K TV then Samsung UN55KU6600 may be your TV of choice. It is best selling curved TV on Amazon and it also has 4.8 average review rating on Samsung website and 4.4 average review rating on Amazon. If you’re a fan of Sony’s famous quality TVs and are looking with a TV with HDR then Sony XBR49X800D could be a TV of your choice. Its HDR technology really makes colors pop. Sony XBR49X800D 49-Inch 4K Ultra HD TV is available for $798.00 for 49-inch model and for $648.00 for 43-inch model. LG Electronics 60UH6150 has the highest price out of all TVs we looked at but it also has the biggest screen with 60-inch diagonal. And it also supports High Dynamic Range Content with HDR Pro technology. 4K Ultra HD; 8.3M Pixels for 4x the Resolution of Full HD TVs. HDR Pro; Supports High Dynamic Range Content. IPS Panel; Any seat becomes the best in the house with IPS. True Black Panel; Antiglare film helps achieve deeper black levels. UHD Mastering Engine; Enhanced color, contrast and clarity on LG 4K TVs. 4K Upscaler; Upgrade all video content to near-4K quality. LG Electronics 60UH6150 60-Inch 4K Ultra HD Smart LED TV is priced at $986.23 for 60-inch model and at $665.01 for 55-inch model. It also has a pretty good deal on a 65-inch model at $1,001.49 – just $15 more than 60-inch. This entry was posted in Best 2017 4K TVs, Best TV 2017 January, LG TV, Samsung TV, Sony TV and tagged best 2017 tvs, best january 2017 4k tvs, best lg tv 4k 2017, best samsung 4k tv 2017, best sony 4k tv 2017, LG Electronics 60UH6150, Samsung UN50KU6300, Samsung UN55KU6600, Sony XBR49X800D by Dzmitry. Bookmark the permalink.